They said fortunate are those who were born with a gold or silver spoon in their mouth. It means that they belong to a rich family. And yes, in reality they are very lucky and to be envied. On the other hand, what could be luckier or shall I say, “happier” than to be born free and gifted with nature’s wealth? I am referring to those who were born on the farm, who lives far away from the crowded cities and whose source of living are mostly from the natural resources. No golds, no silver. Only free useful things from nature – free water , free vegetables, fresh air and free rice from the farm. What more can one ask for? Don’t you think that children born in this way of life are more fortunate than those with gold or silver spoon in their mouth? On the farm, they live in a house called Nipa hut or “bahay Kubo”. “Bahay Kubo is not designed by the professional architects but by the indigenous hands of our forefathers. 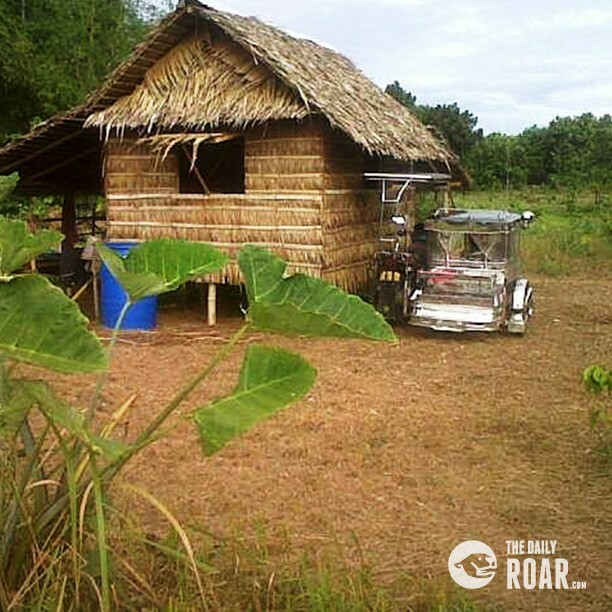 It is a native house in the Philippines that brings simple joy to a Filipino family. This traditional “ bahay-Kubo” is actually an icon of the Philippine culture called “Bayanihan”. It is a symbol of the simplicity of life of a Filipino who lives on the farm. Unlike in the cities, you cannot see a view of high rise buildings , malls and condominiums in the farm- only a row of “Palay” or rice plants. As I always say, “ Best things in life are free “, and so is the flow of drinking fresh water in the farm. It comes from the spring. 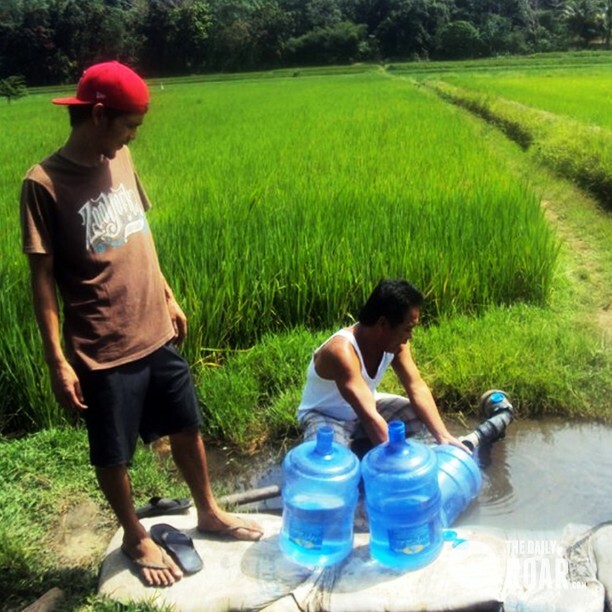 It is used to water the row of “rice” plants which is the source of food of the families who lives on the farm. The safe drinking water is free, too. Children love to have their bathe in this free-flowing water. It chills them to the extreme as it is unlimited. It brings them happiness as they wade in the free-flowing spring water. Fresh air on the farm is clean and healthy. 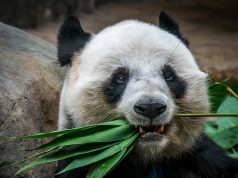 While those born with a silver spoon in their mouth lives in an air-conditioned room, it is still more nourishing to inhale fresh and unpolluted air. Going into the farm has always a way of making me smile. Call it passion, a sentimental imagination or an obsession. I call it Love. A love for simple living and hard work. Indeed, no one can compare “a life” in the farm.